Our mission is to extend the boundaries of South Asian music and introduce artists to a wider audience. On our latest tour with Rizwan-Muazzam Qawwals, we were delighted to secure high profile media coverage for the Sufi maestros. Read on to find out more and to listen again! 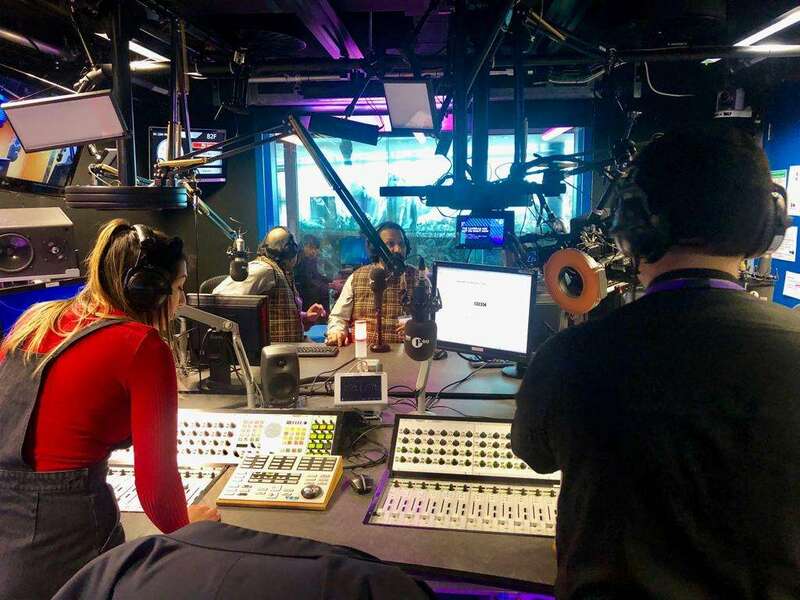 The Qawwals began the tour with a visit to the BBC’s Broadcasting House in London. They performed a live performance on BBC Radio 4’s flagship arts and culture programme Loose Ends, hosted by Clive Anderson. They performed the poignant Qawwali, Biba Sada Dil Mor De. Listen here. 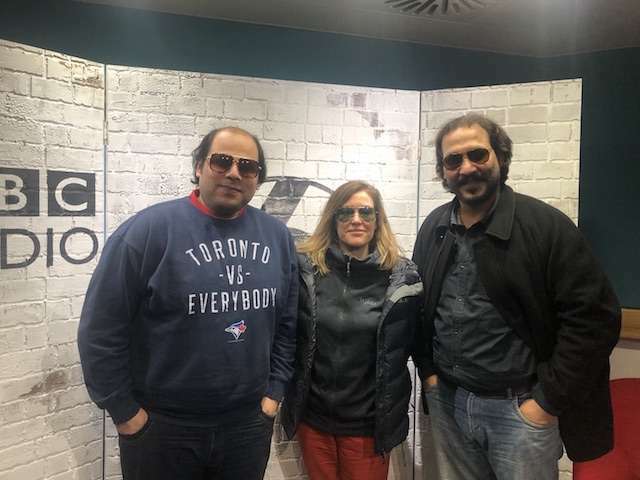 Following their live performance on Loose Ends, Rizwan-Muazzam did an interview for Waqas Saeed’s BBC Asian Network show, chatting about Qawwali music and the upcoming tour. 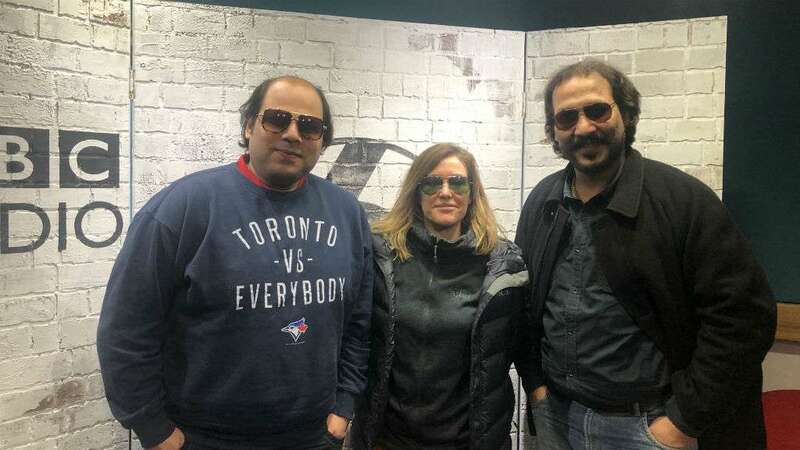 Rizwan, Muazzam and our Director Jaswinder Singh joined Cerys in the BBC 6 Music studio on 17th March to pre-record an extensive interview about Sufi music, Rizwan-Muazzam and the tour. Cerys’ then discussed the tour on her 24th March show, with the full interview due to be broadcast on Sunday 7th April – you can listen again here. Cerys’ show is hugely popular with music lovers throughout the UK and it was a wonderful opportunity to introduce Sufi music and Rizwan-Muazzam to a wider audience. Our Director and tour producer, Jaswinder Singh, had a great chat on air with BBC Radio Leeds’ Rav Basra. Listen to Jaswinder describing Qawwali music and introducing Rizwan-Muazzam Qawwals here. We were delighted to see the iWeekend national paper pick Rizwan-Muazzam in their ‘five best this weekend’ culture feature. Ahead of the UK tour, Eastern Eye entertainment editor Asjad Nazir interviewed Rizwan and Muazzam for a double page spread feature, and included the tour in his ‘top picks’ throughout the tour. It was great to receive support from Britain’s number 1 Asian weekly newspaper. Songlines featured the tour in its April 2019 edition, saying “rare tour from Pakistani legends”. This is a just a selection of the media coverage received for this tour. Rizwan and Muazzam also did interviews with many local and specialist asian press before and throughout the tour. Rizwan-Muazzam Qawwals toured the UK from 16 -31 March 2019, produced and managed by Asian Arts Agency.